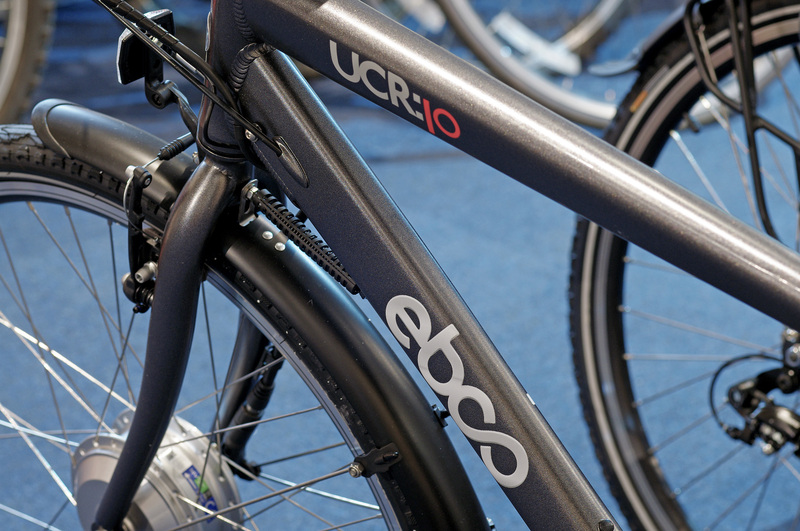 Increasing rapidly in popularity, electric bikes occupy a prominent position on our showroom floor. 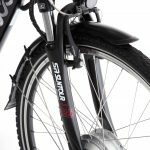 The most popular type are based on the traditional frame format of comfort riding position, traditional handlebars and pedals but with the welcome energy boost of battery powered drive. 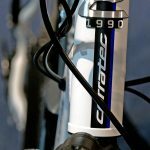 For some the joy of cycling and the freedom it provides is checked slightly by the energy levels required to pedal constantly into a strong head wind or to ascend a hill. 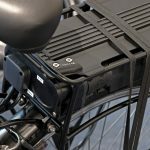 Electric bikes take away this issue by assisting uphill and into a strong head wind, or indeed any situation where powered assistance is required. 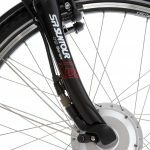 Fundamentally, a 36v battery powers a motor positioned in the front wheel hub on some models or around the bottom bracket on other models. 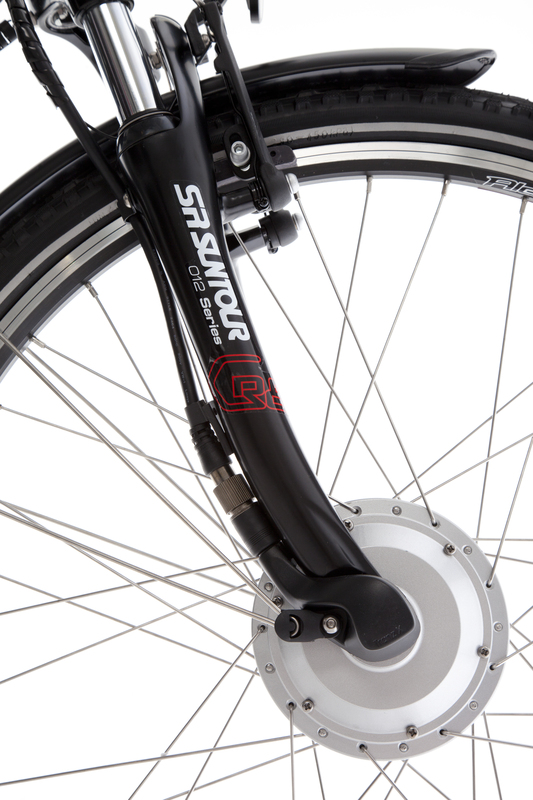 This then drives the bike along at speeds of up to 15mph. 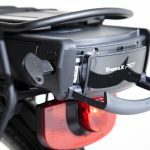 The rider changes gear as usual to gain speed via a paddle gear shifter on the handlebars, and brakes via the usual brake handle position. 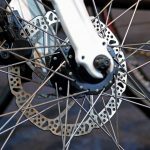 There are two main types of electric bikes. 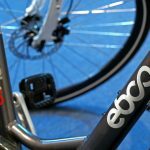 The first we offer are those manufactured by the British company Ebco. 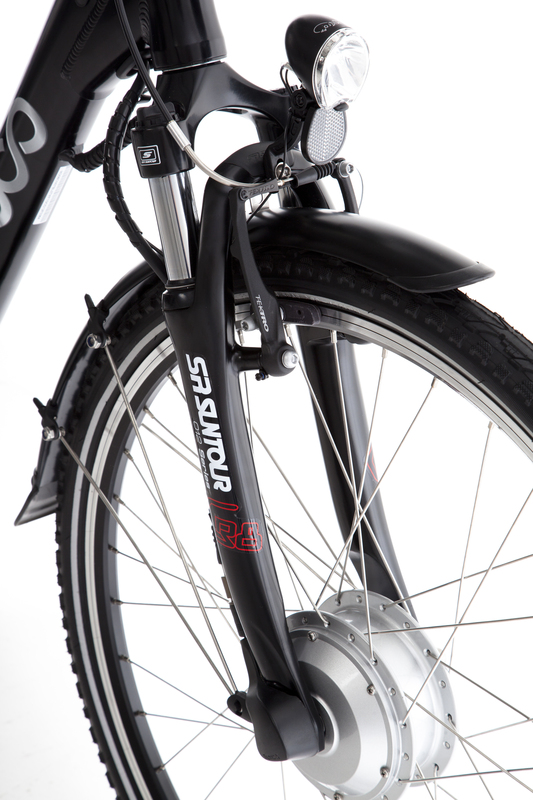 These are extremely popular, offering arguable the best value for money of all electric bikes. 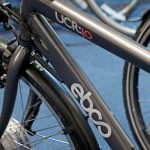 On the Ebco bikes, when the power is switched on, pedalling causes the battery to power the motor and the rider feels the power immediately. 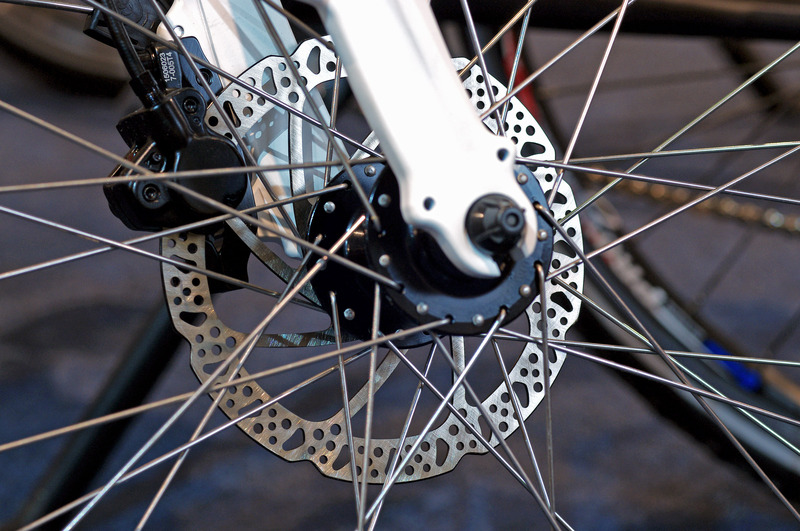 The battery supply to the motor is cut off if pedalling stops or the brakes are applied. 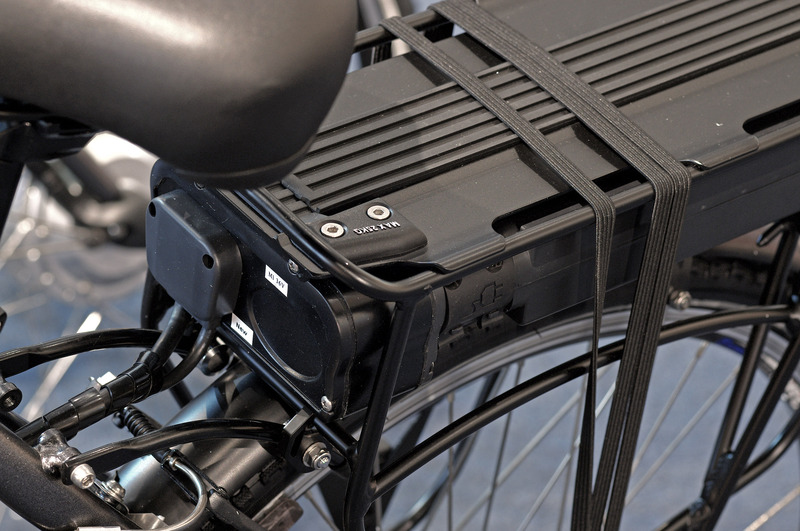 Of course on trips when no assistance is required, the battery can simply be left switched off. 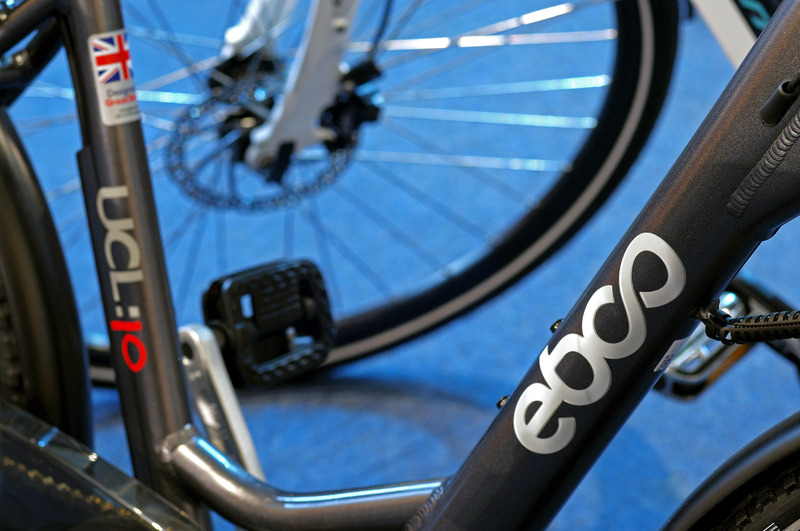 Ebco bikes typically have a 25 miles range of power use before the battery needs recharging. 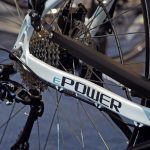 This can be a little less if the power is used for the entire ride, or a little more if the battery is used more sparingly. 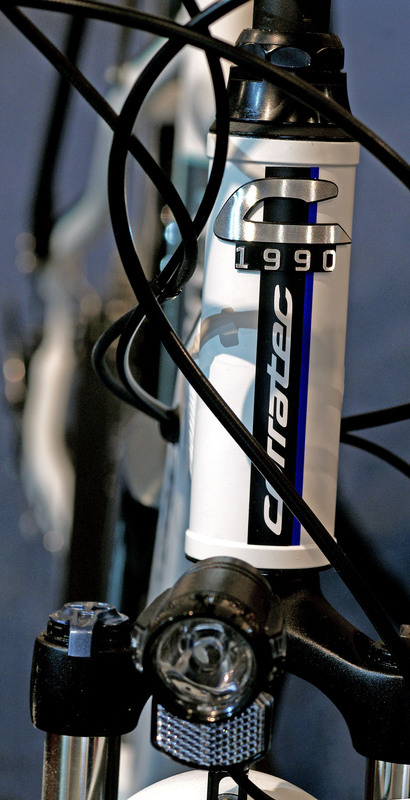 The second we offer are bikes from the German company Corratec. 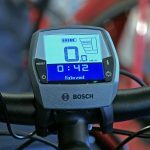 These are powered by Bosch electronics and have a more subtle way of using the battery energy. 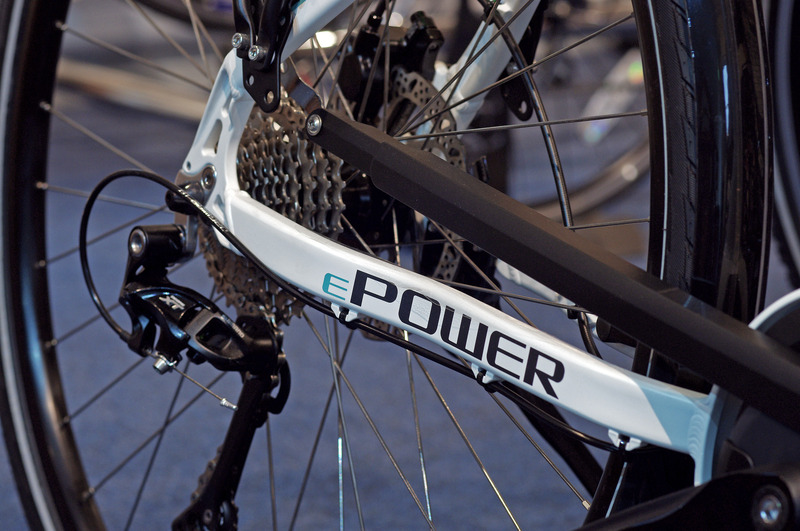 These can be described more accurately as Power Assist bikes. 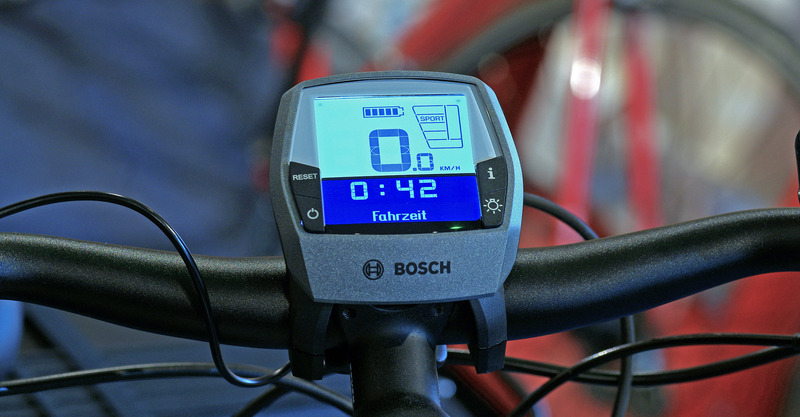 An on-board computer detects the energy being supplied by the rider to the pedals and delivers the appropriate energy assist. 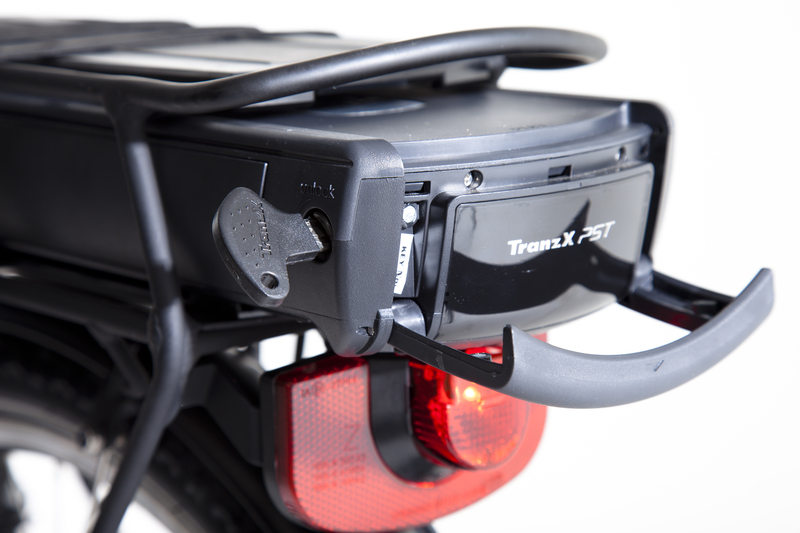 This means that in situations such as hills or head winds, the bike responds to the requirements of the rider, and powers down when not required. 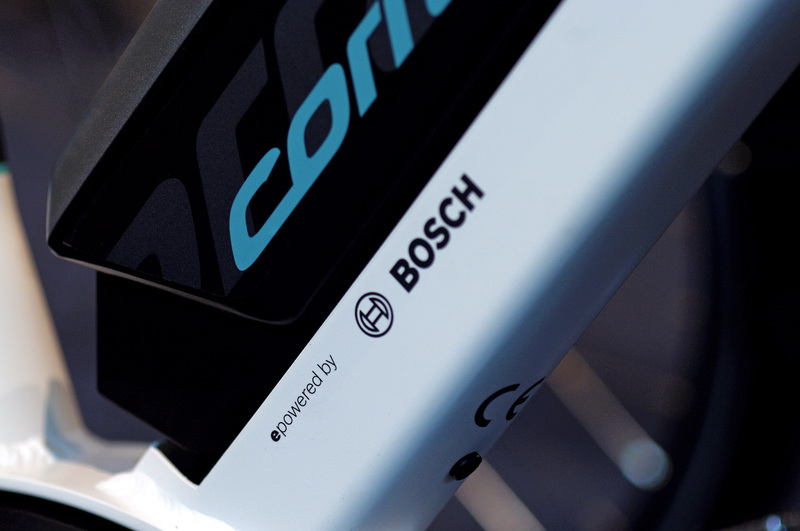 The battery range of the Corratec bikes is much greater at about 75 miles per charge. Again, the power can be switched off completely if not required. 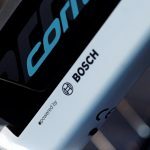 Please check exact specifications and prices for all Ebco and Corratec models on their specific pages on our website.